Wouldn’t it be great to seamlessly switch from chat to tasks when it’s appropriate? Meet new Bitrix24 chat options that will boost your productivity and help with daily routine! You can easily create new tasks from chat messages in one click. 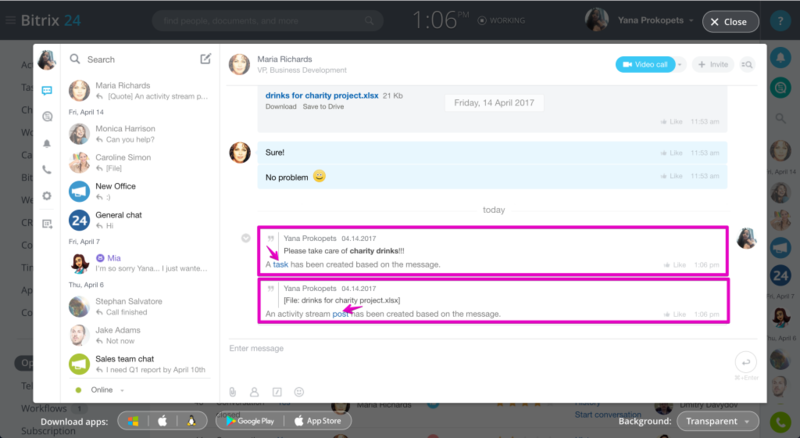 Task link will automatically appear inside the chat. 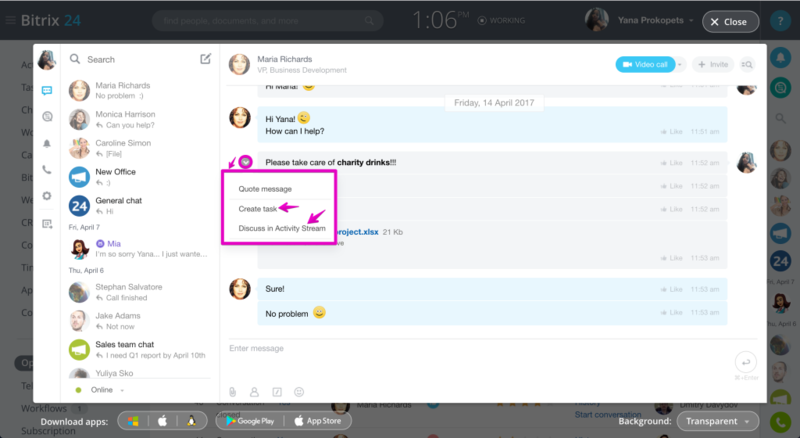 You can add deadlines, participants, attach files to this task, and do other things inside the task you’ve created from chat sessions. It’s important to note that these options are available in all parts of Bitrix24 that use our messenger – not just internal chat, but Open Channels as well. Likewise, you are able to create new Activity Stream posts from chat discussions. The post will appear automatically in the Activity Stream with chat members added as post recipients automatically. Continue discussion in the Activity Stream, add groups, departments, attach files, and so on.